Since in my last blog post I was asked for the LaTeX template I was using for my thesis, I’ve cleaned it up a lot, re-ordered the packages inclusion and added some comments which will be useful for who will try it. Since WordPress kindly forbids uploading zipped files, I’ve set up a repository on gitorious.org . For whose who have never heard about that website, you can click the following link https://gitorious.org/thesis_template/thesis_template/archive-tarball/master , which will start the download of the zipped folder for you. 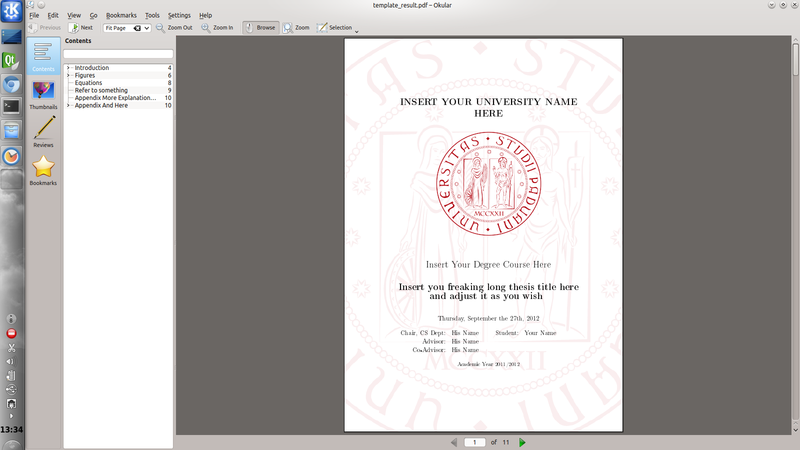 This entry was posted in KDE and tagged latex, template, thesis. Bookmark the permalink. Thank you pal, you’re the best!